Creating a fun, satisfying, and safe environment for your cat doesn’t have to cost a small fortune or take up hours of your time. In fact, with a little cat-centric thinking, you can easily retool your home to become a feline wonderland. 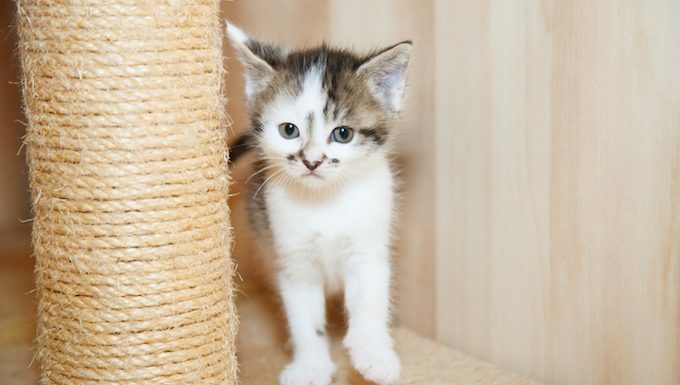 Here are five super simple hacks to start cat-ifying your abode. Cats need to be able to scratch, so why not save your furniture legs by wrapping sisal around them? It’s a simple and cheap hack that will allow your cat to scratch away while ensuring they don’t wreck those treasured chattels. 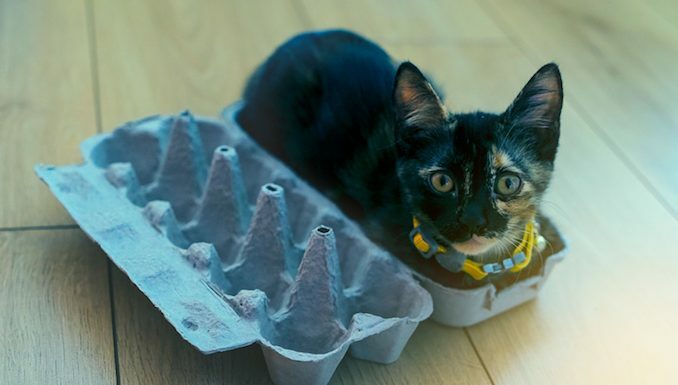 There are some mighty fancy feline treat toys out there on the market, but you can also quickly put together a homemade version by cutting up and sticking together household objects like egg cartons, toilet rolls, and Tupperware. Just remember to make any holes large enough for your cat’s paw to actually fit through. 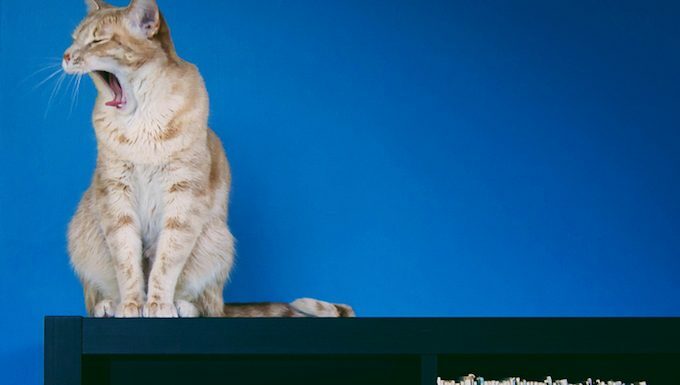 Cats love to climb, so take a moment to look at your existing furniture setup and see if you can create steps that your kitty can safely scale to find a satisfactory perching point. Sometimes clearing out a little space on the edge of a cabinet is all that’s needed to cat-ify your house. 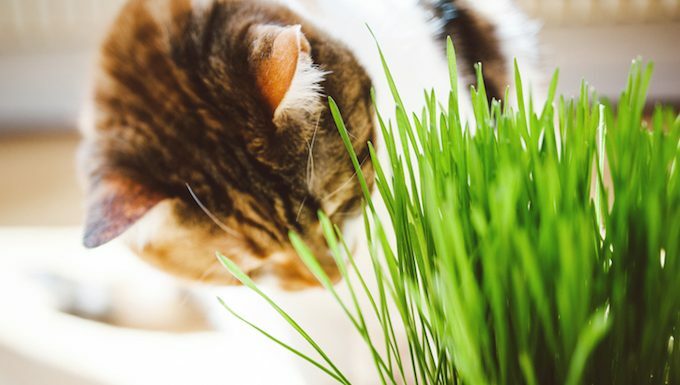 Even if your green thumb record involves previously managing to somehow cause succulents to perish, it’s a cinch to begin growing your own catnip or wheatgrass. Seeds, a smattering of soil, some stones for drainage, and a mason jar are all you need to provide your cat daily fresh greenery. 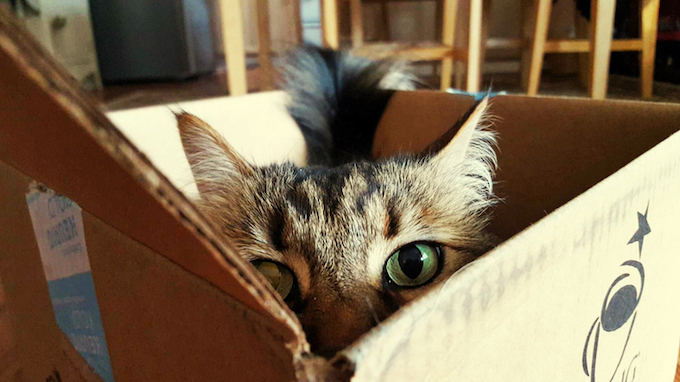 Finally, one of the easiest and cheapest ways of improving your home for your cat is to simply leave out a cardboard box for your feline to play with or chill out in. Cutting out a spy hole or entrance also ups the interactive fun. Pro tip: You can snag free mailing boxes from your local post office that very handily fit a cat. What hacks do you use to make your home more cat-friendly? Let us know in the comments below!